Despite recently ranking as the most expensive zip code for renters in the United States, Battery Park City experienced the greatest influx of millennial residents in New York City over a period of five years. The Lower Manhattan neighborhood, with the zip code 10282, saw a population increase of over 54 percent, according to report released this month by RentCafe. Out of the top 20 zip codes with the highest increase in millennials, Battery Park City, with 2,300 Generation Y residents, ranks third in the country, falling slightly behind two downtown Los Angeles neighborhoods (h/t amNY). 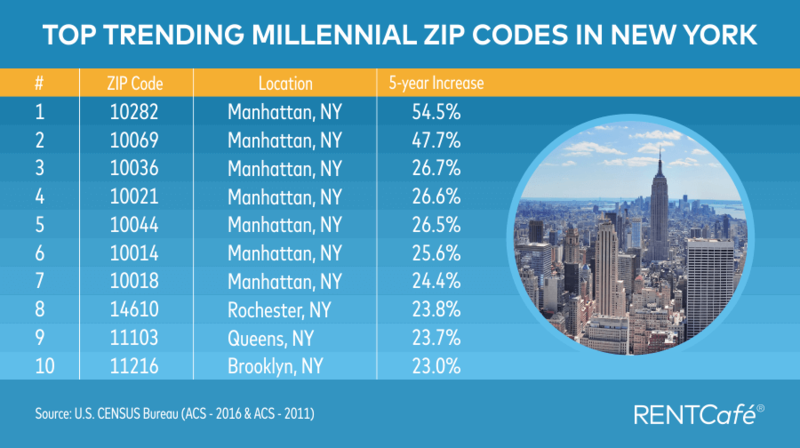 For the top trending zip codes in NY between 2011 and 2016, seven are in Manhattan, one in Rochester, one in Queens and one in Brooklyn. 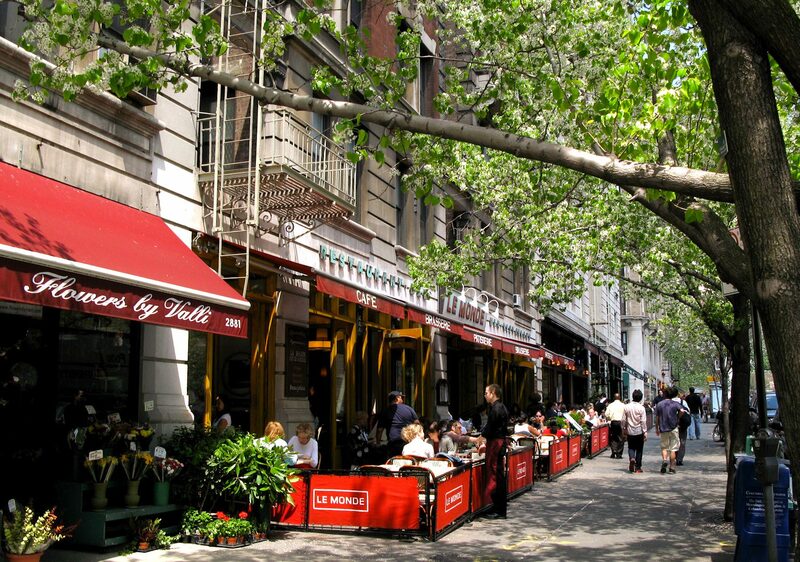 Lincoln Square on the Upper West Side experienced the second largest increase of millennial residents, with an increase of nearly 48 percent. Once known for its retired and family-friendly community, the UWS is ushering in many new millennial-friendly shops and bars, like Blue Bottle coffee, Van Leeuwen ice cream, Jacob’s Pickles and Owl’s Tail, a recently-opened bar with craft cocktails. But while both Battery Park City and Lincoln Square saw a jump in population, neither are home to the city’s largest population of millennials. The largest share of millennials in NYC is the Financial District, where 71 percent of the population are considered millennials. And unsurprisingly, the neighborhood with the largest millennial population in the country is Williamsburg, Brooklyn. The hip ‘hood is currently home to 43,700 millennials. Other New York City nabes with large Generation Y communities include Corona and Woodside in Queens and Sunset Park, Flatbush, and Bushwick in Brooklyn. See the full report from RentCafe here. Despite drop in average rent, Battery Park City is still the most expensive zip code in the U.S.